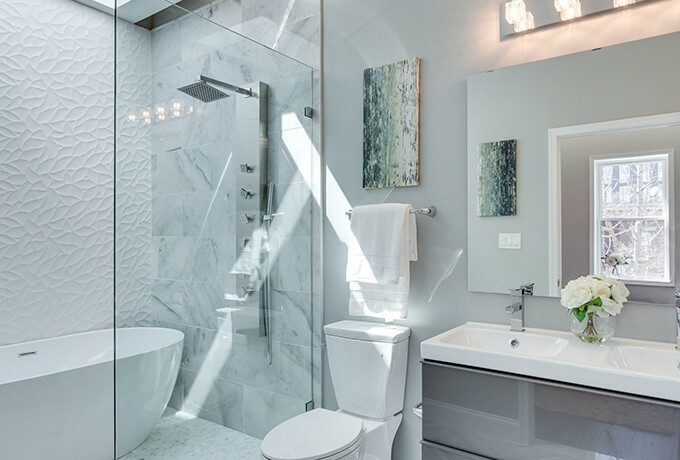 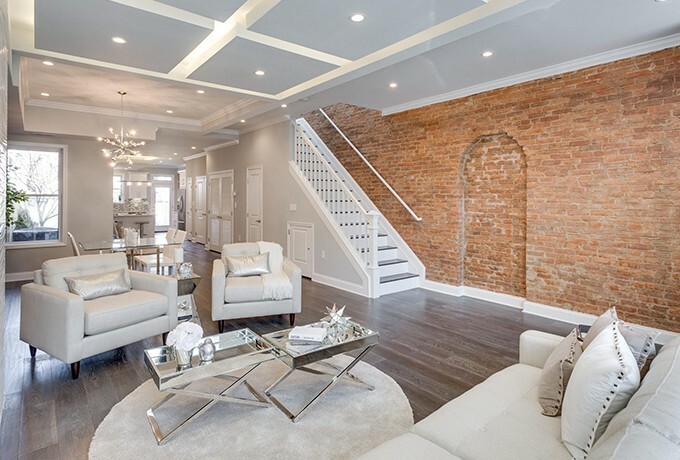 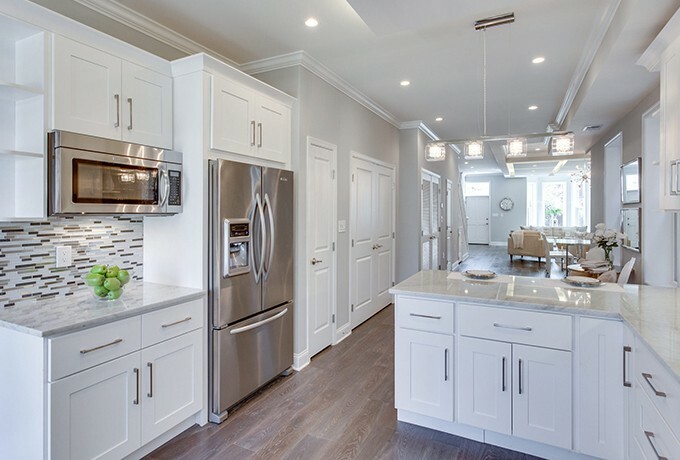 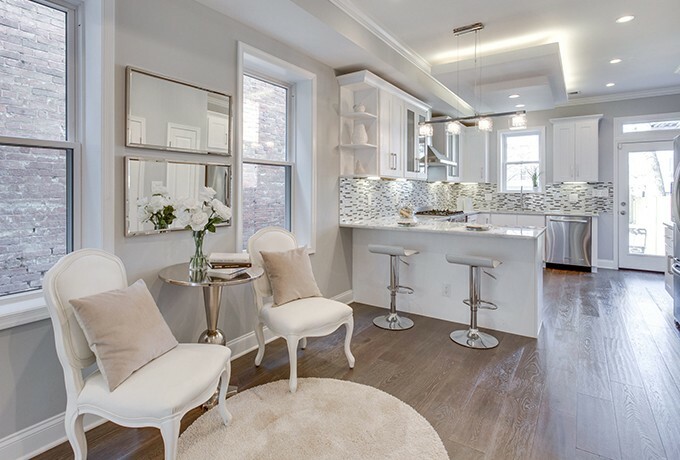 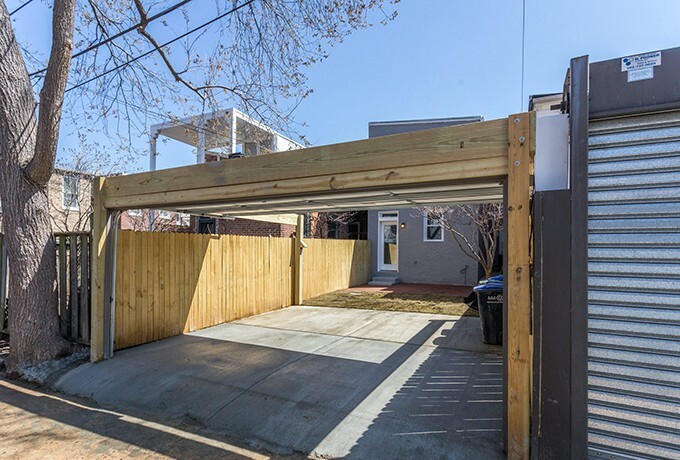 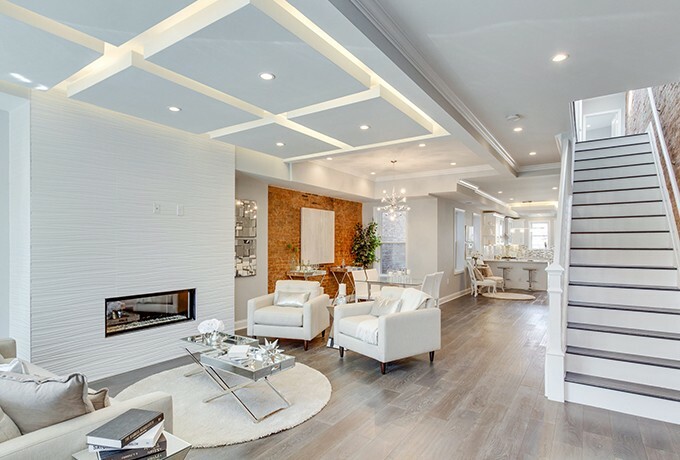 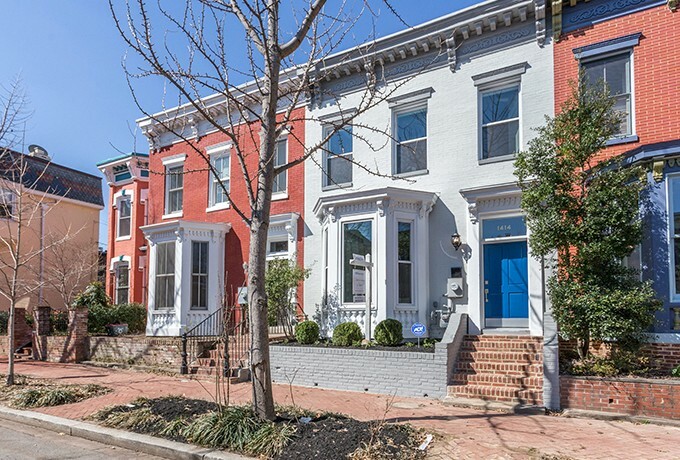 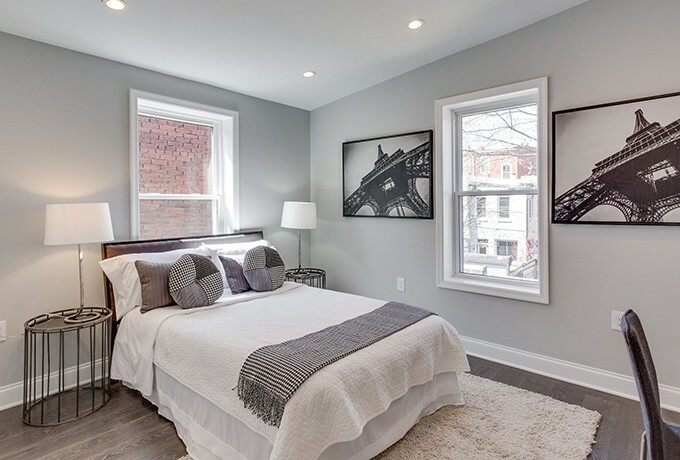 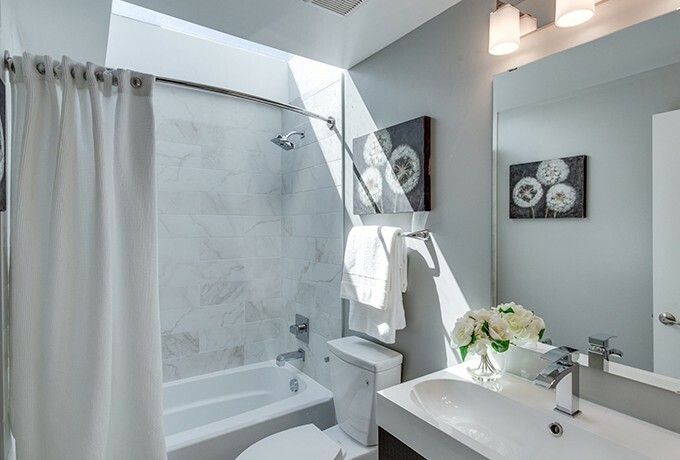 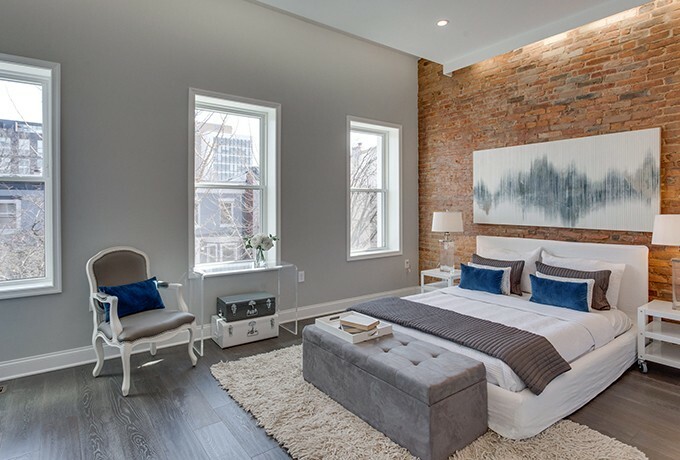 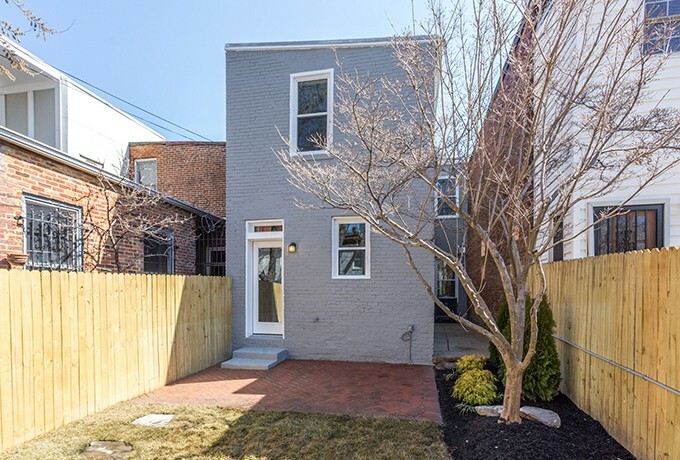 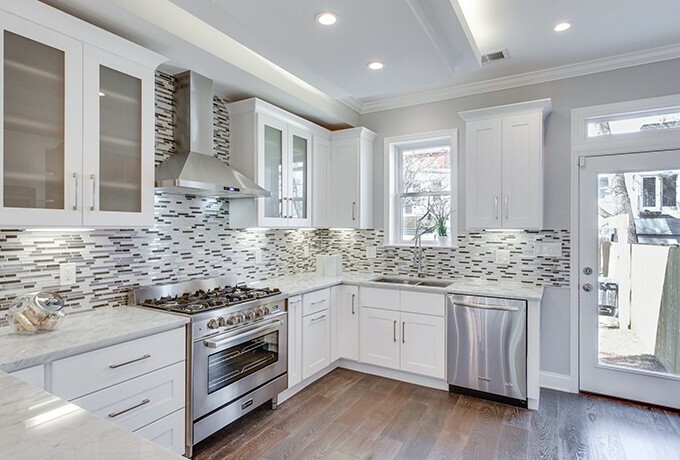 Incredible transformation of a 3 story row home in desirable Logan Circle. 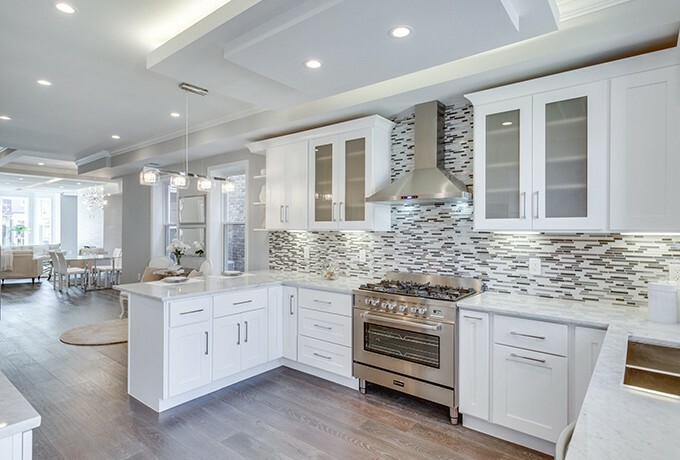 This home features a modern white kitchen with high end appliances, designer bathrooms, marble countertops and high end ceramic tiles. 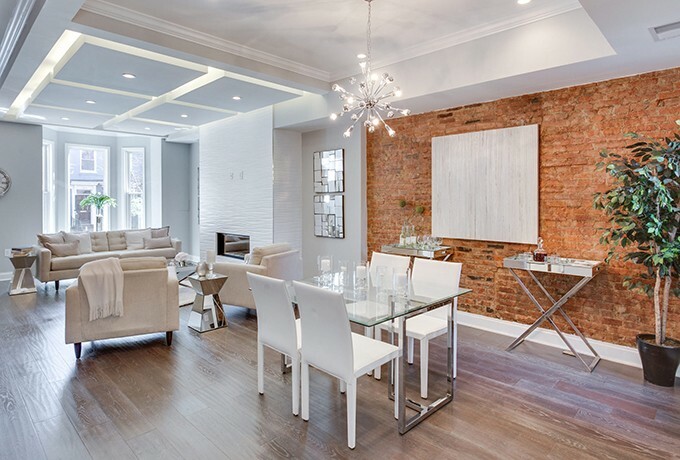 Gleaming oak hardwood floors and recess lighting complete this redevelopment.